Retina tears and detachment occur when the retina separates from its blood supply. Your retina is located at the back of your inner eye. Untreated retinal detachments can cause blurred vision and permanent vision loss. A retinal tear or detachment is a medical emergency. You should contact your doctor immediately as soon as you experience symptoms. The majority of retinal detachments can be surgically repaired. The receptor cells in the retina send nerve messages about what you see to the optic nerve. The optic nerve extends from the back of each eye and join together in the brain at the optic chiasm. From the optic chiasm, the nerve signals travel along two optic tracts in the brain and eventually to the occipital cortex, where you process and perceive vision. Retinal tears and detachment occur when the vitreous, a clear jelly-like substance that fills the eye, pulls from the retina and causes the retina to tear. Liquid that passes through the tear and settles under the retina causes a separation of the retina from the back wall of the eye. The condition is termed a retinal detachment. The retina cannot work if it is detached from its blood supply. An untreated detached retina usually causes blindness. You should contact your doctor as soon as you develop the symptoms of retinal detachment. A retinal tear or detachment does not cause pain. A major symptom is suddenly seeing flashing lights, new floaters, or a gray curtain that moves across your field of vision. You may lose your peripheral (side) vision first. If the macula is detached, you may experience blurred vision and rapid vision loss. 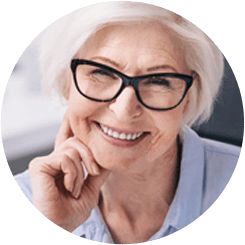 Retinal detachments occur most frequently in people over the age of 40, although they may occur at any age. It is more common in men and Caucasians. Nearsightedness, a personal or family history of retinal detachment, cataract surgery, eye diseases, and eye trauma increase the risk of developing retinal detachment. A retinal detachment is a medical emergency. You should see your eye doctor immediately. 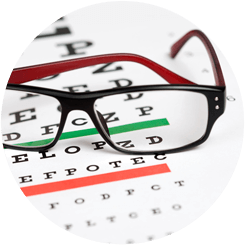 Your doctor will review your medical history and perform a thorough eye examination. Your doctor will dilate your pupils and view your retinas and inner eye structures . Tonometry is used to measure the pressure in your eyes. A visual acuity test is used to determine how well you see at different distances. Imaging tests may be used to produce pictures of your inner eye blood vessels and retinal structures. Common tests include ultrasound and retinal photography. Ultrasound, also referred to as echography, uses high frequency sound waves to produce images of the internal eye structures. Fundus photography is a specialized medical imaging test used to take pictures of the structures located at the back of the eye, including the retina. It produces a series of photos that are helpful for diagnosing, documenting, and monitoring certain eye conditions. Fluorescein angiography is a specialized type of photographic eye test that is used to detect blood vessel problems in the retina and choroid. The test uses an injected dye and a special camera to take photos of the vessels. Retinal detachments cannot heal without treatment. Treatment is necessary to restore vision. The majority of retinal detachments can be repaired. There are a variety of surgery techniques that are used to secure a detached or torn retina. Laser surgery may be used to seal a torn retina. A pneumatic retinopexy is a procedure for retinal detachments that has been recently introduced. For this procedure, a gas bubble is inserted to hold the retina in place and a laser may be used to seal the retina. A pneumatic retinopexy may also be used in combination with cryopexy. Cryopexy is a procedure that uses extremely cold temperature to create a scar that holds the retina to its underlying layer. A scleral buckle procedure may be used for advanced retinal detachments. It involves securing a thin band of silicone around the sclera, the white part of your eye. Buckles are placed to create a dimple. The procedure moves the tissues in the eye closer together and releases fluid under the retina, causing the retina to reattach. Scleral buckles are performed with local or general anesthesia. They are most frequently performed as outpatient procedures. A vitrectomy is a procedure that may be used alone or with a scleral buckle procedure. A vitrectomy involves removing the gel from the inside of the eye. The gel may be replaced with an air bubble or silicone oil to promote healing and protect the retina.